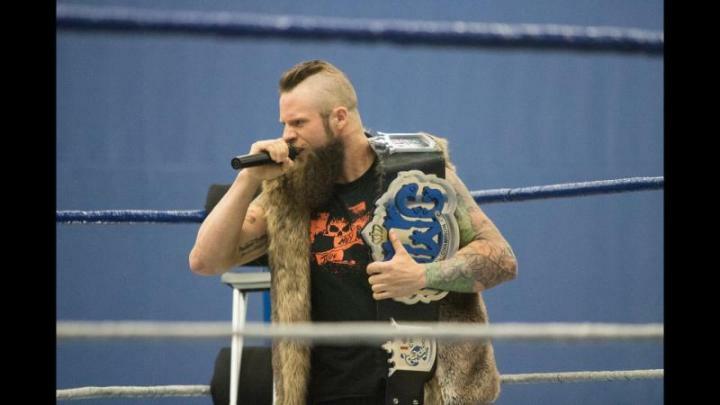 The Canadian Wrestling Coalition (CWC) held one of their most electric events at the Abbey Centre last Saturday night when they hosted Total Control. The event featured a six-man tag-team elimination match that pitted the CWC stars Dylon Stone, Jack Pride and Michael Richard Blais against the invading Stud Stable wrestlers, including CWC Champ Chris Perish. According to organizer Dylon Featherstone, everything was beyond expectations. “In one word, if you can describe it, it was insane,” Featherstone said, adding the event started on a low note when the former CWC Champ Jude Dawkins was forced to hand over his title to Perish after the Stud Stable front man cashed in his title match and Dawkins was medically unable to compete. “Jude Dawkins had to relinquish the CWC title to Chris Perish, who has been a thorn in the CWC’s side since the time he arrived,” Featherstone explained. The real coup de grace of the evening was during the main event when Stone, Pride and Blais took to the mat to defend their company against Perish and his cronies. The match was all over the place, with bodies flying from the top rope onto the exposed floor of the Abbey Centre, with the CWC eventually winning the match and saving their company. According to Featherstone, the reaction of the crowd is what drives a pro-wrestler in matches like this one. Featherstone noted the company now has the distinct honour of wrestling in Red Deer – something they have wanted to do for several years. This match will be followed up on Aug. 12th when the CWC will host its biggest event of the year – the Clash Against Cancer. “The show will be happening with Santino Marella (former WWE superstar) and the British Bulldog (the son of the WWE Hall of Famer) and the rest of the stars of the Canadian Wrestling Coalition,” Featherstone said.